SPECTREOUTREACH.com: I want to eat my Keyboard! I want to eat my Keyboard! My keyboard is giving lot'sa headache recently to the point I want to eat it like a Kit Kat. 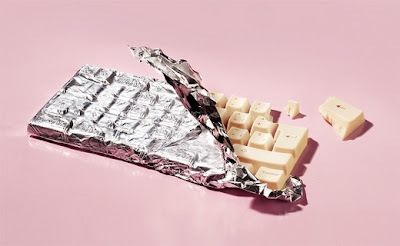 Pix source: BoingBoing aka white chocolate keyboard post.